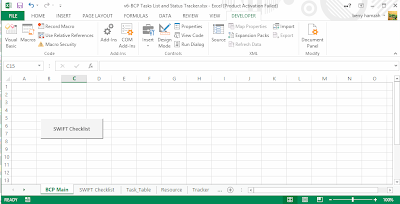 In this beautifull night, i was assigned to edit the excel for BCP checklist for my company. 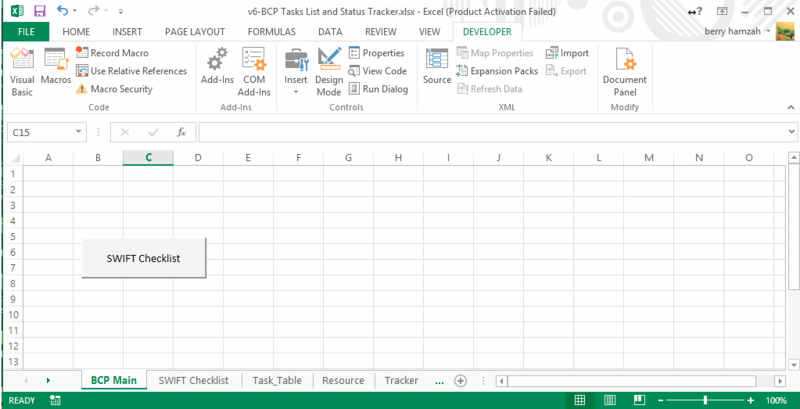 I have idea to use macro to navigate to all the checklist in an excel workbook. 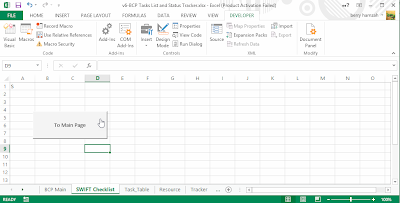 This below tutorial, i am creating a simple macro in Excel 2012. I want to have buttons that will navigate me through all the sheets in excel. 2. On the Developer tab, under Visual Basic, click Editor. 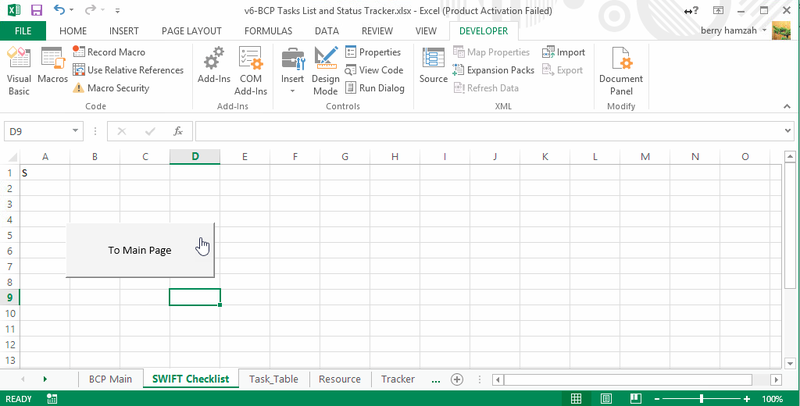 Insert a module, in the Visual Basic Editor, on the Insert menu, click Module. In the code window of the module, type or paste the macro code below. Sub stands for Subroutine, which you can define for now as "macro". Running the getForm macro runs any code that is between Sub getForm() and End Sub. Change the caption to "SWIFT Checklist"
Change the caption to "To Main Page"
6 Now you will be able to navigate to worksheets using the button. wow its cool...thanks for the links being shared..thanks for the walk through too.much easier to understand now.Were basically using this in the admin departments of a web hosting atlanta company.